Bathrooms are highly-trafficked and must be functional and accessible. However, a bathroom should also be a comfortable, inviting retreat from the outside world. Add style to your bathroom by installing frameless shower doors for a touch of elegance and practicality. Below are a few other reasons to install these tasteful and essential accessories. Shower doors are a must for keeping water inside the enclosure, but there's no reason that they need to be bulky or unsightly. By eliminating the traditional metal frames, frameless doors create the illusion of a spacious shower. They make any bathroom look and feel larger by elongating sight lines and allowing more light into the space. Some materials used in plastic shower doors can release toxins into the environment, and mold and mildew buildup are common on shower curtains. Frameless doors are made of clean sheets of glass and these hazards. Installing frameless doors is a small investment that encourages a spa-like look and feel. This chic and modern upgrade will increase your property value and make it more attractive to prospective buyers. These shower doors are also durable, easy to clean, and long-lasting. 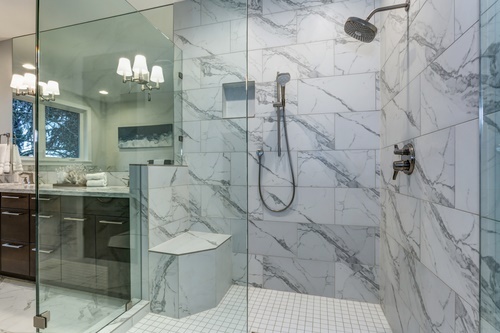 If you’re interested in upgrading to frameless shower doors, let the professionals at Monsey Glass in Spring Valley, NY, install the perfect doors for your budget and your tastes. For almost 50 years, they’ve been serving the Rockland County, Northern Bergen County, Orange County, Westchester County, and New York City areas. They also offer custom windows and glass replacement, screen repair, and sell hardware accessories. Send a message online or call (845) 352-2200 for a free estimate. Follow them on Facebook and Twitter for the latest updates.